Rev. 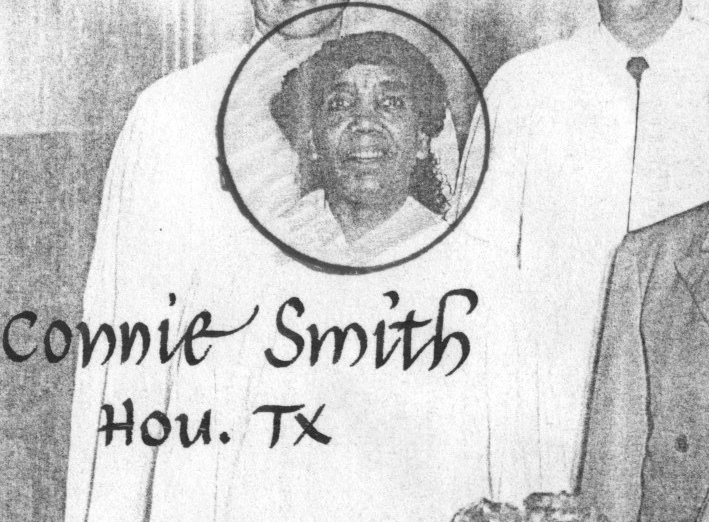 Corine Johnson Smith (1885-1970) was an ordained Unity minister who started and served the Loving Heart Unity Center in Houston, Texas from at least 1946 to 1966. Information about her has been got from the 1948 Unity Field Department Survey, which can be seen by clicking on the link to the right, the 1954 ordination photo, shown to the left, information from the Unity yearbooks for 1946, 1956 and 1966 and Internet sources. I invite anyone who is related to Rev. Corine Johnson Smith or who has any information about her to post a comment to this page or to contact me at mark@truthunity.net. And then we have Reverend Corine Smith who experienced miraculous healings using Truth Principles first as a Licensed Unity Teacher and continuing on to become an Ordained Minister in 1952. She pioneered a center in Houston, Texas in this same year. Born 26 Jan 1895 in Cuero, DeWitt County, Texas to Henry H. Johnson and Amie Ramey Johnson. She was the ninth of twelve children, according to the 1900 Census. Died 15 May 1970 in Houston, Texas of breast cancer. Residence was 3902 Leffingwell St, Houston. Buried in Cemetery Beautiful, Houston. The death certificate indicates she was a widower. 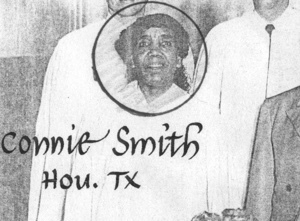 Listed as a Unity Minister in 1956 and 1966 Unity Ministers Assoc Yearbooks: Loving Heart Unity Center, 3902 Leffingwell, Houston. This was her residence address according to her death certificate.